The other difference is that these days, you don’t have to reboot after installing the FTDI drivers. 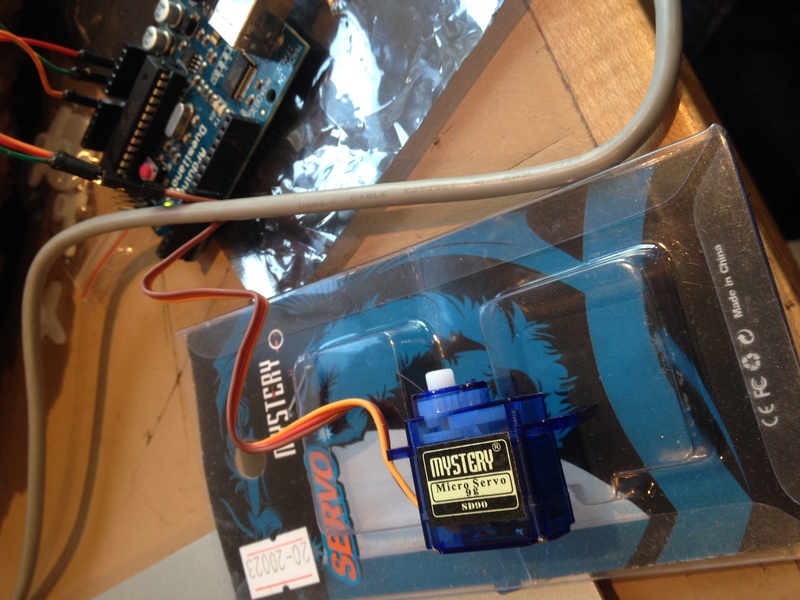 Once I have blink worked, I moved to this servo tutorial, since I have a tiny micro servo 9g from somewhere (Richard?). In that tutorial it says you need to download and add the servo library; in fact it’s already there in “sketch > import library”. 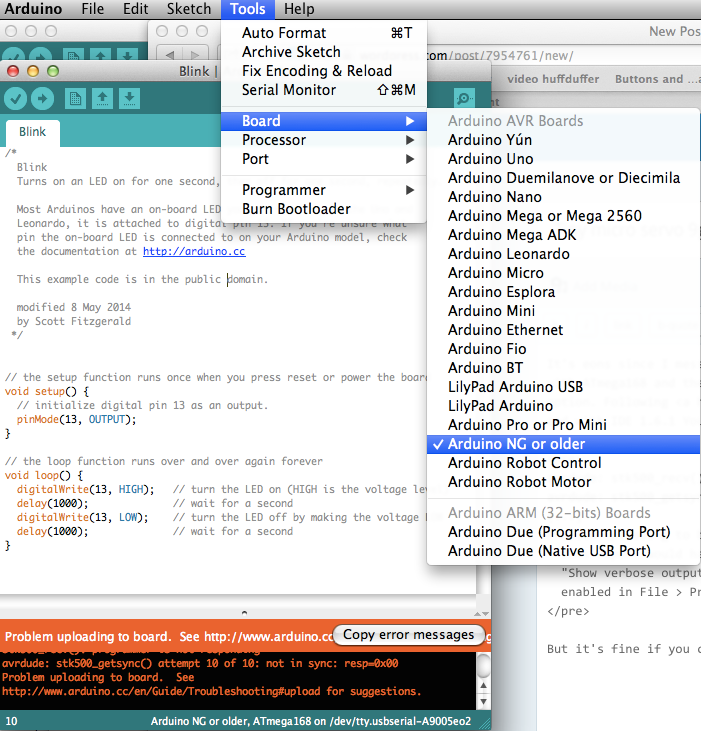 Arduino: 1.6.1 (Mac OS X), Board: "Arduino NG or older, ATmega168"
using the serial monitor (set to 19200 baud rate) I should be able to input “s100” in the serial monitor and have the servo move. But nothing happened. So I put some more logging in, and saw garbled stuff or nothing, and I wondered if my arduino is too old to do that baud rate. Doing this it reverses “foo” to “oof” but who knows. firstly the code refers to the second servo, so the pin needs to be in analogue 2 not 1? 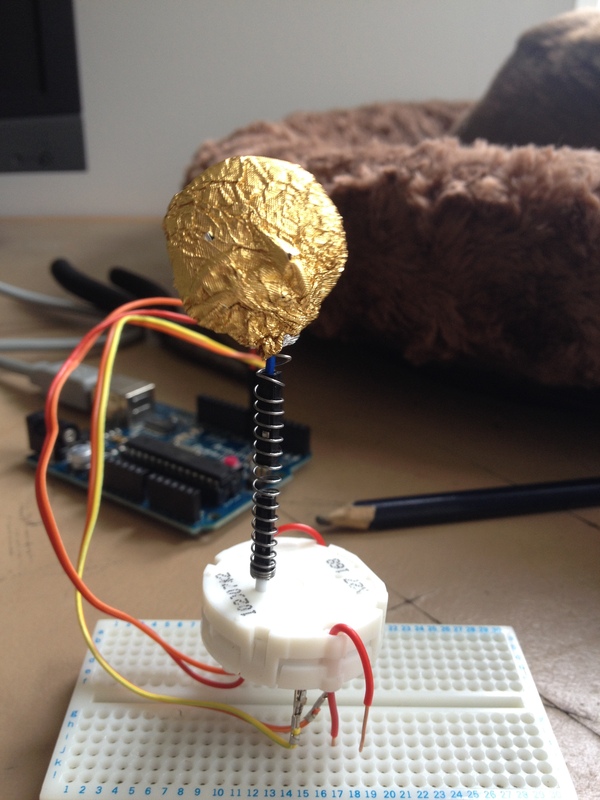 thirdly, and the actual problem turns out I had the pin wrong – that tutorial is very out of date, or the library’s changed a lot, or something. What you need is one of these, e.g digital 9. Here’s the way I got it going. and the digital 9 pin as in the diagram on that page. 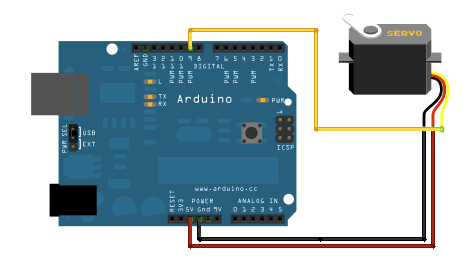 Arduino pin naming seems nearly as confusing as the Raspberry Pi’s. 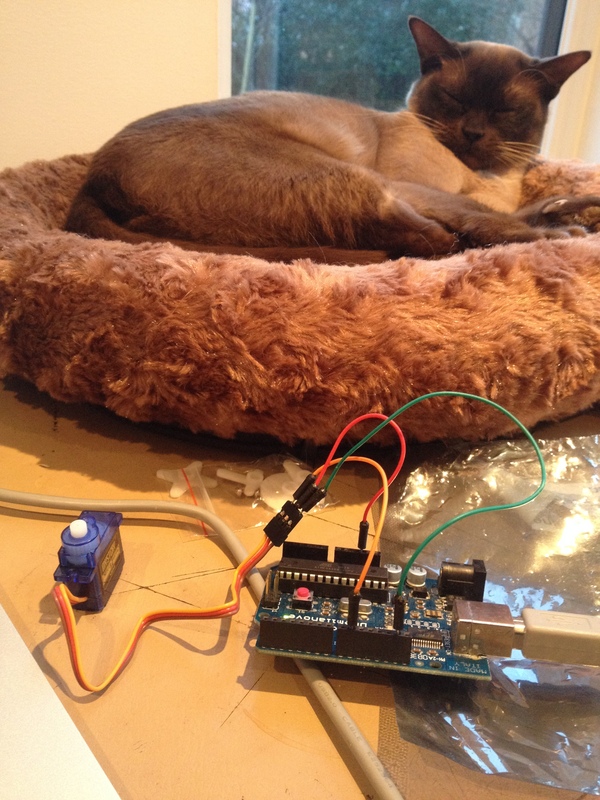 I think this little servo might be a bit noisy for what I have in mind, but it’s nice to have it working. This entry was posted in Uncategorized on March 21, 2015 by libbymiller.